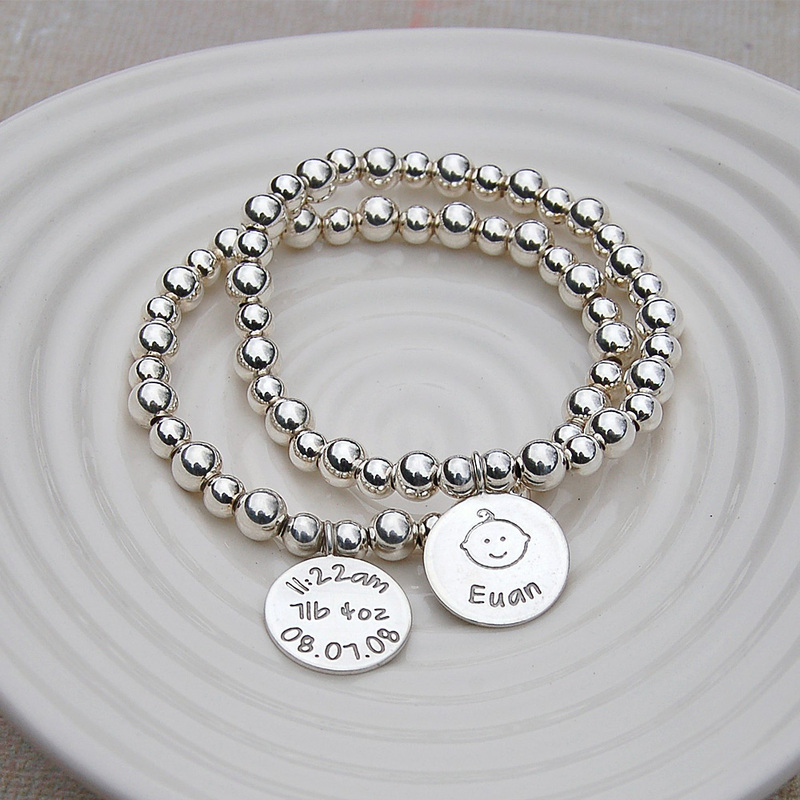 Celebrate the birth of a new baby with this unique personalised silver bracelet which is sure to become a treasured possession. 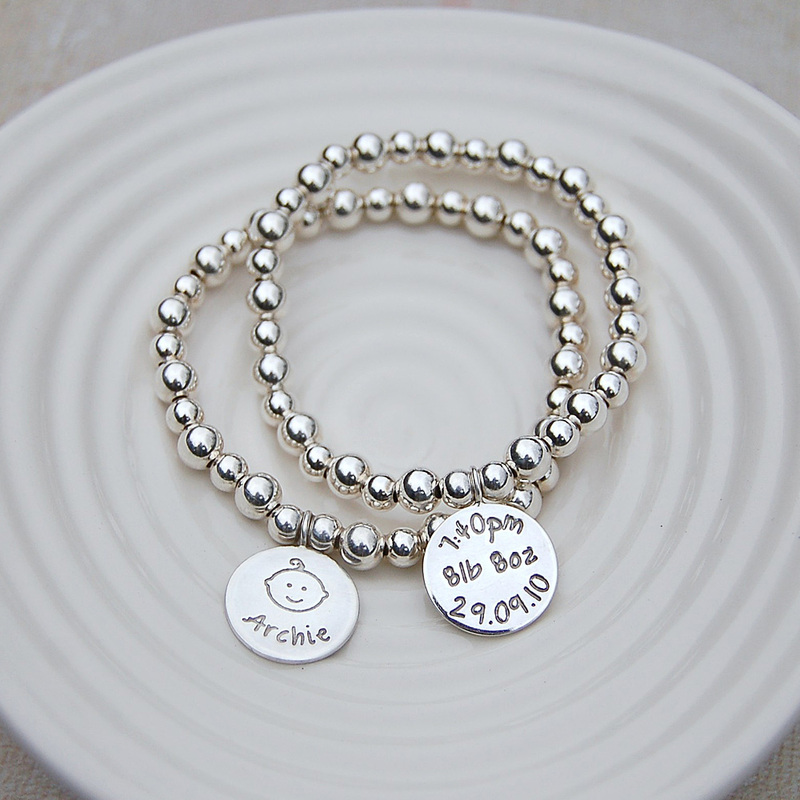 This personalised bracelet also makes a great gift for birthdays and Mother’s Day as a beautiful keepsake bracelet keeping treasured memories close. A sterling silver disc charm etched on one side with a cute image of baby and their birth details on the other. 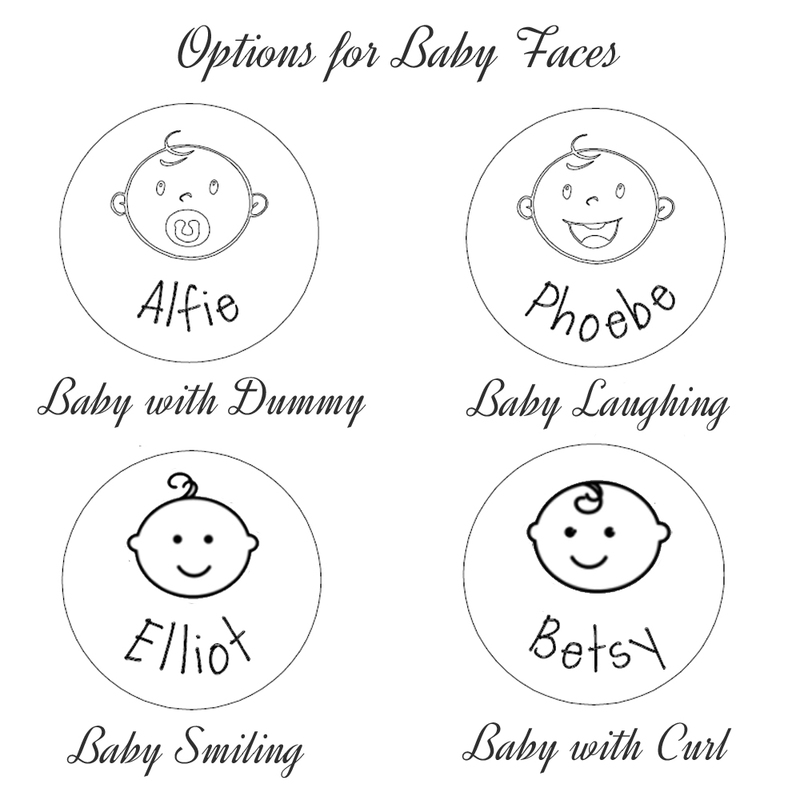 A handmade sterling silver disc will be etched on one side with a cute image of baby and their name, and on the other side with their weight, date and time of birth. 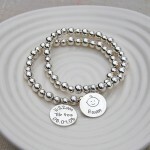 The disc hangs from a sterling silver ball bracelet strung on strong elastic. Additional charms can also be added for twins, siblings etc. 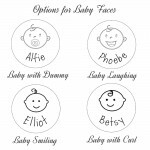 There are four different baby faces to choose from to suit all personalities and if you adding additional charms, you can choose to have the same or different images on each one. 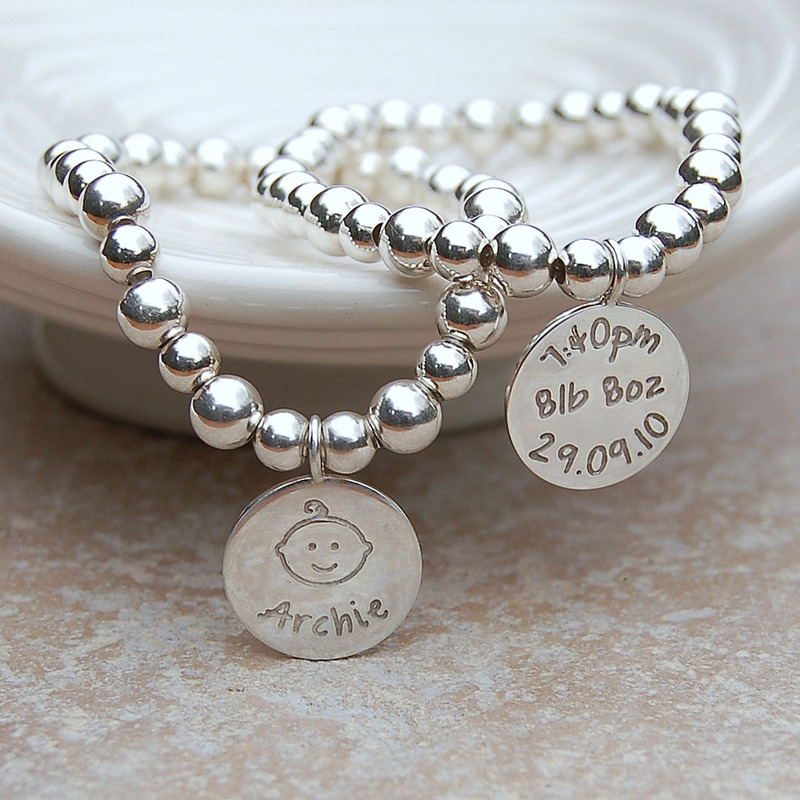 We also make two different necklaces with the baby charm, one just with the baby charm and one with additional Angel Wing and Heart charms and a gemstone birthstone. 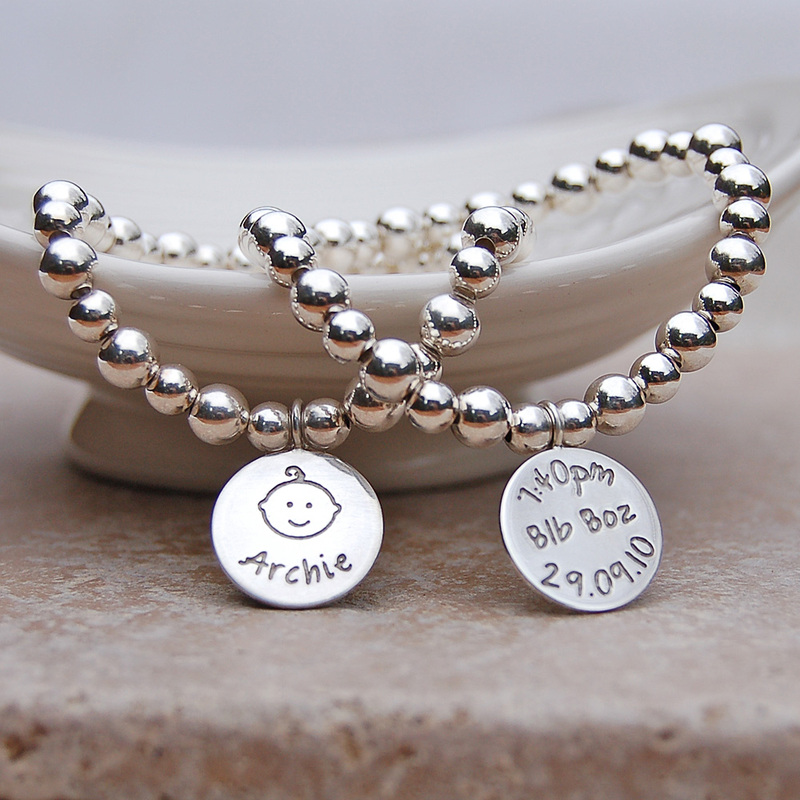 Our personalised silver new baby bracelet will be handmade in the UK especially for you and will be beautifully wrapped in tissue paper and packaged in an IndiviJewels gift bag. The personalised charm and beads are sterling silver and are strung on strong elastic cord. 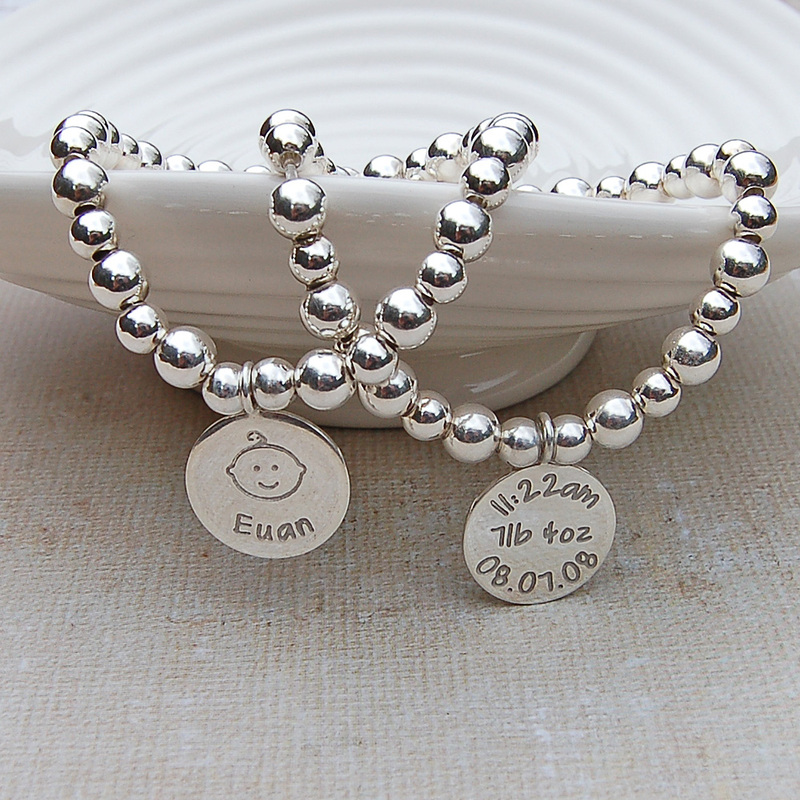 The silver disc measures 16mm in diameter and is 1.2mm thick and the balls alternate in size from 5mm to 6mm. The bracelet is strung on strong elastic and so will fit most wrist sizes.